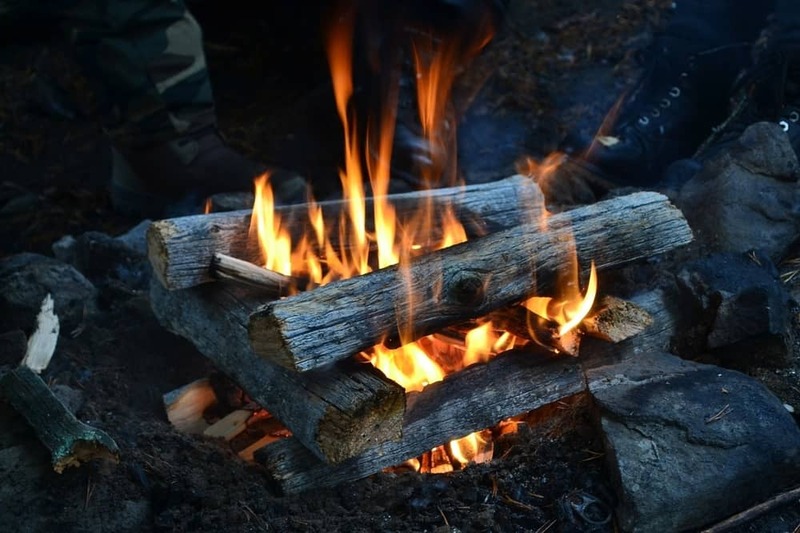 Whether you are a survivalist or simply a weekend camper, learning how to build a well-made campfire is an important wilderness skill. Sure, most folks with a bit of time can cobble together something that will burn. However, these attempts are often inefficient, short-lived, require constant attention and are difficult to start. 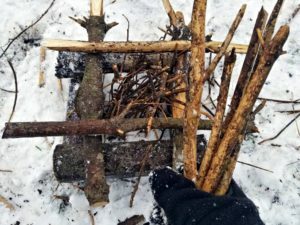 With our guidance and a little bit of practice, you can soon produce on demand five different methods of building a campfire that are suited for various weather conditions and intended uses. A fire has three essential ingredients: heat, fuel, and oxygen. 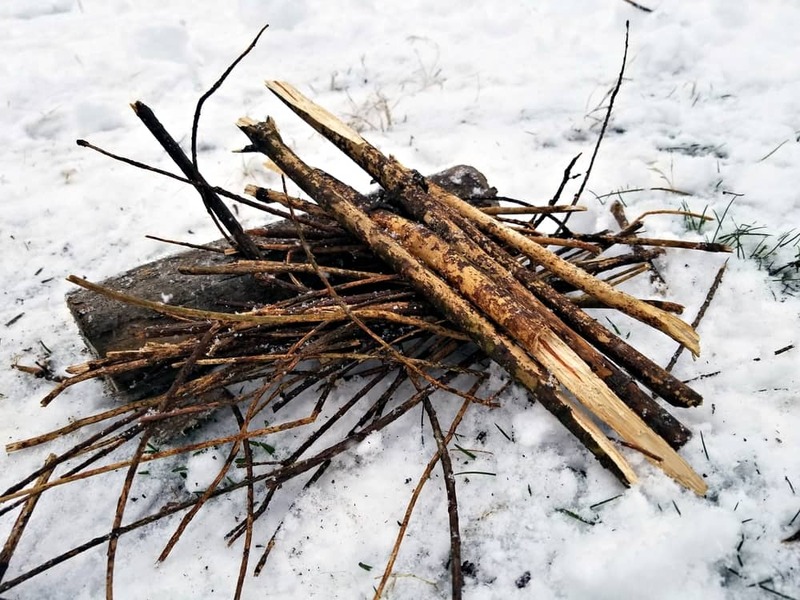 The initial heat to start the fire can be from any source, though most folks will usually opt for matches or a lighter. The fuel is typically wood, paper and similar. The oxygen comes from the air, so you’ll need good airflow to keep a fire going. Pretty basic stuff so far! Remember to “Leave only footprints. Take only photos.” Plan to extinguish the fire thoroughly, clean it up entirely and leave no trace behind. If you are using a designated campsite, use existing fire pits or fire rings. If your campfire is out in the wilderness, you can still look for already established campsites and fire pits or build your own. 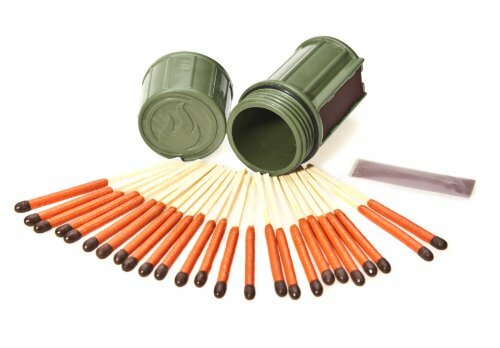 You should carry a means to start the fire, such as waterproof matches or a lighter. 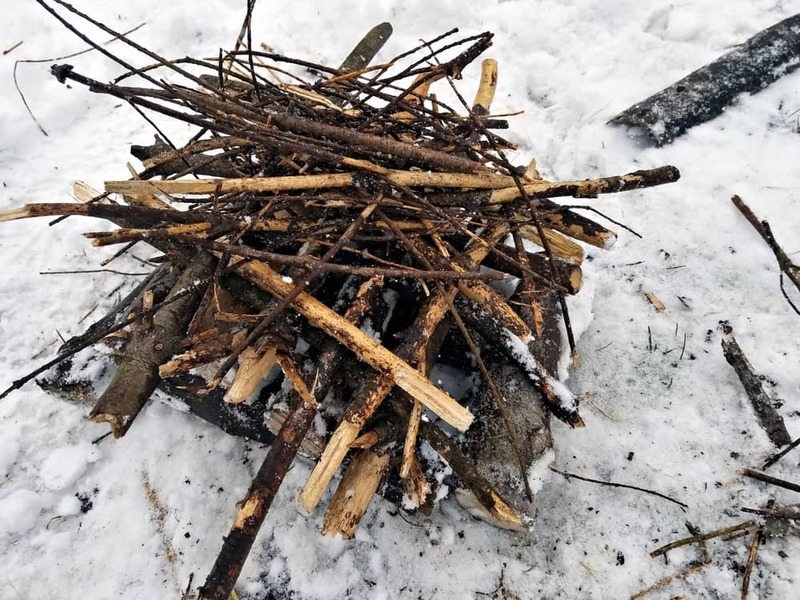 A small handsaw or hatchet and some good gloves will be handy if you are planning on collecting your fuel (wood/tinder) from the natural resources around you. You may also want some means to carry the wood. This may mean a canvas carrier or a cord to tie the wood up. Of course, you will also need a handy supply of water to put it out. Tinder: Items that catches light easily to get things started, such as paper or dry pine needles. Kindling: This is usually slightly larger objects that burn a bit longer, like small twigs. Firewood: The heart of your fire, firewood should burn much longer, and is usually tree branches, logs or purchased firewood. 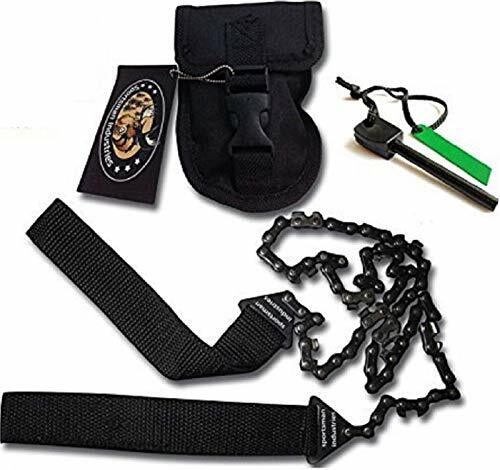 If you are going to a commercial campsite, you can typically purchase these things at the camp store, a roadside kiosk or other commercial source nearby. If you are out in the wilderness, whether simply camping or stranded in a survival situation, you will be gathering supplies from the landscape. When gathering wood to build your campfire, you want the driest fuel you can find. Damp fuel is hard to light and gives off a lot of smoke. However, some types of fire can help compensate for wet fuel (more on this later). You should do your best to gather your fuel from branches, twigs, stumps that are lying around on the ground. In many places, it is illegal to cut branches from the trees for firewood. However, if it is legal to remove dead branches from the trees in your area, make sure you use a handsaw to help protect the health of the tree. Improperly removing dead branches can kill the tree. Do not ever transport firewood in wilderness areas nor carry in commercially purchased wood! It’s an excellent way to spread invasive insects which can do enormous harm to the ecosystem. If there is no existing campfire ring, you will need to build one. Start by making sure to leave ten to twenty feet clearance around where you plan to site the fire pit. Especially ensuring your tent is that distance (or further) away. Begin by creating a mound of dirt to help protect the topsoil. Then gather up rocks about the size of your fist and create a ring. You also want a pit in the middle. This is a bowl-shaped indentation to help hold the kindling and protect against the wind. There are many different types of campfires and everybody has there own favorite. Each method of building a fire often has it’s pros and cons and is usually suited to a particular purpose. If you are going to camp, you should know how to build them all in case you need a particular type due to weather conditions, your intended use or lack of fuel. 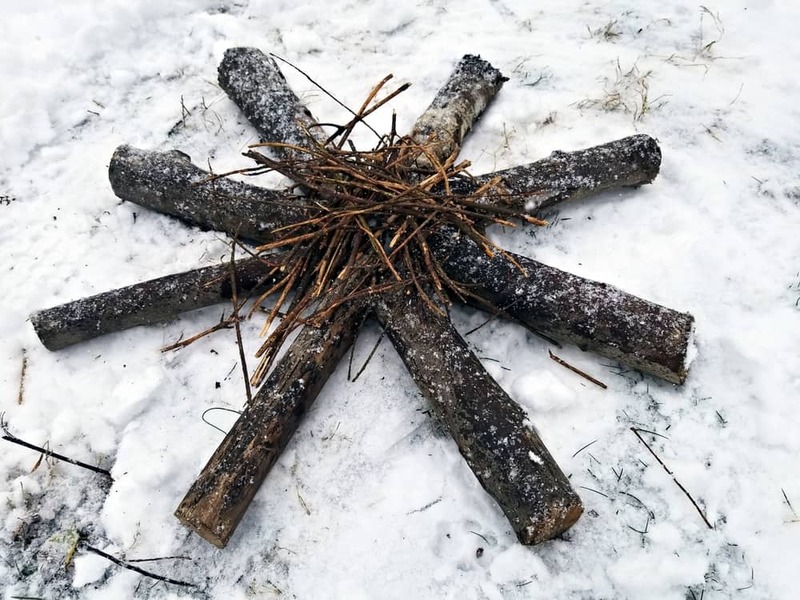 This is the most straightforward and most basic type of campfire to build. It’s simple to build and is well suited for use as a cooking fire. However, it will eventually collapse, so be prepared to add wood and rearrange things a bit when that happens. Place your tinder in a small pit. 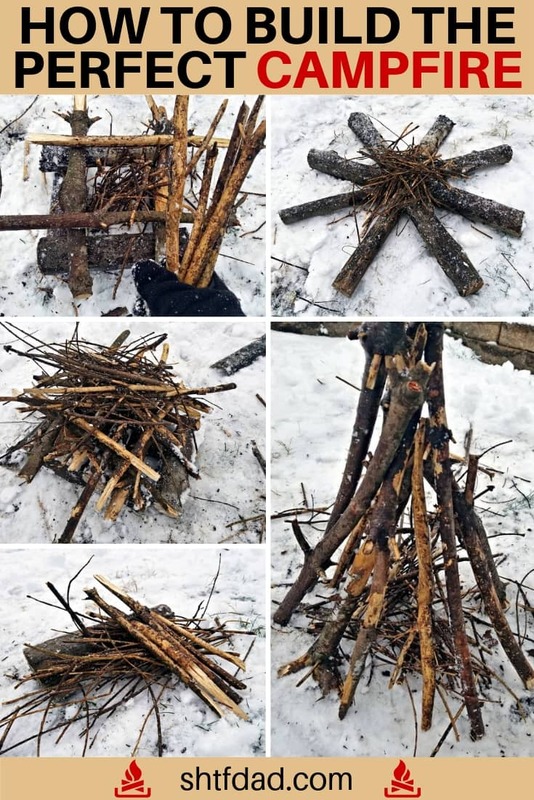 Bend two or three pieces of kindling to form a teepee shape and stick their ends in the ground. 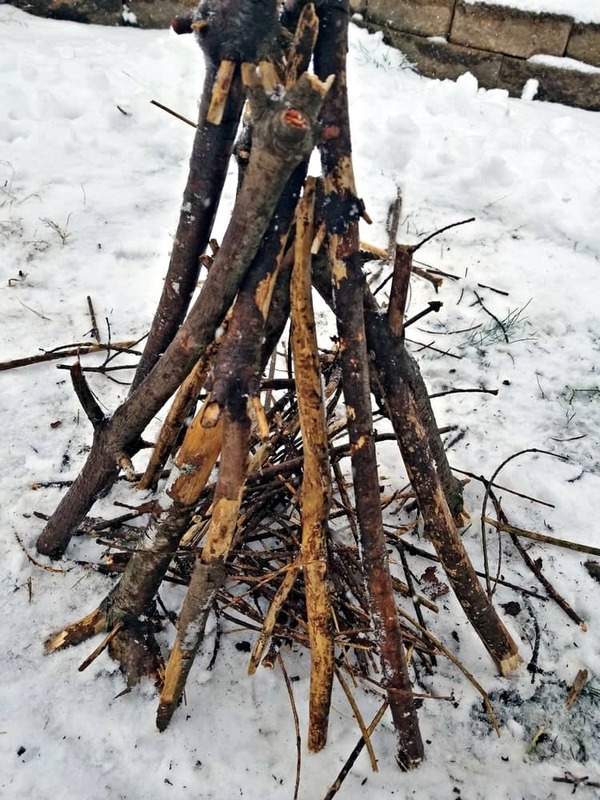 Use additional kindling to create the “walls” of the teepee, leaving gaps for airflow and so you can light the tinder. Have larger logs handy to add as the teepee collapses. This style of fire is ideal for severe weather. It creates a natural windbreak to protect the fire from the wind. It also really needs wind because it otherwise doesn’t have good airflow. Start with a large log. Place tinder and kindling in the lee of the log to protect it from the wind. Lean larger kindling pieces over the tinder and small kindling, creating a lean-to shape. Keep large kindling handy to keep adding fuel. This is more complicated and fuel intensive than the others. However, it creates a robust fire that is well suited to various conditions, in part because it has excellent airflow. Put tinder in the fire pit. Place two large pieces of kindling parallel alongside it. Top them with two more of about the same size, but crossing them to start a cabin shape. Continue alternating until you have several inches of cabin wall. Like the teepee, this will eventually collapse and require additional wood. This is an excellent option if you can’t find dry fuel. The fire on top will dry out the damp wood below until it is dry enough to catch. It also works great if you need a very long lasting fire. It’s similar to a bonfire and can last an entire without any maintenance. Start with two large logs laid out parallel on the ground. Make multiple layers of logs, getting smaller at each layer and crisscrossing. The upper layers will be small kindling. The very top layer will be tinder. The fire starts on top and works its way down. This is the stereotypical cowboy-movie style of fire. It allows you to control the burn rate and it’s good for cooking. It does require a fair amount of space and takes a bit longer to get going, but it’s relatively low maintenance and is very fuel efficient. Place large pieces of firewood in a spoke pattern around it, with one end sticking into the pit. Put kindling over the log ends where they meet above the fire pit. Push the logs further in whenever the fire needs additional fuel. Before you build your roaring campfire, you must make sure you know how to extinguish it safely and completely. It’s both illegal and unsafe to leave a fire burning. Campfires should not be left unattended and definitely should not be allowed to burn all night while you sleep. Leaving a fire unattended is an easy way to start a forest fire and put you and your party in danger. Ideally, you should let the campfire burn itself out completely until all you have left is ash and small coals. Then wait for them to cool off and scatter it all such that there is no visible trace the fire was ever there. If that isn’t possible, use water to put the fire out. Make sure all flames are extinguished. Use a stick or tool to roll logs over and pour water over their undersides to make sure there are no hidden hot spots ready to reignite. If you have a shovel, sand or dirt can be used to cover it up. 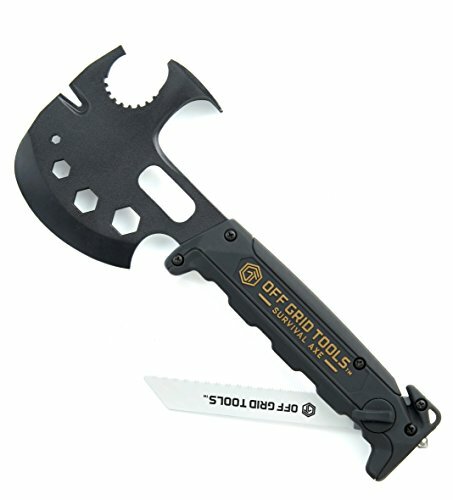 This can help extinguish any hot spots and remove the last traces. Remember! You must make sure it is completely out before you leave. If you cannot commit this, then you should not start a fire, to begin with.